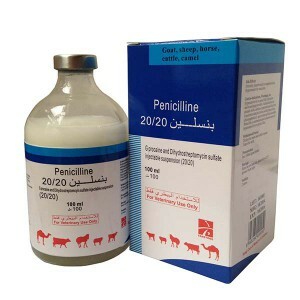 Ivermectin is the breakthrough injectable parasiticide for cattle, sheep and camels. 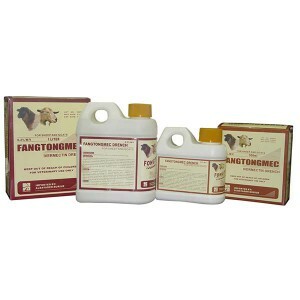 It effectively controls internal and external parasites that impair livestock health and productivity. Ivermectin injection contains ivermectin, a unique new chemical entity. Its convenience, boroad-spectrum efficacy and wide safety margin make it an ideal product for parasite control in livestock. Ivermectin is a ready-to-use 2.0 w/v sterile solution of Ivermectin, Ivermectin is derived from the avermectins, a family of highly active, broad-spectrum antiparasitic agents which are isolated from fermentation of the soil organism strept: myces avermitilis. 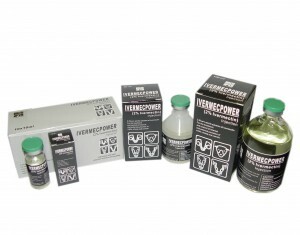 Ivermectin is formulated to deliver the recommended dose level of 100 mcg/kg bodyweight. 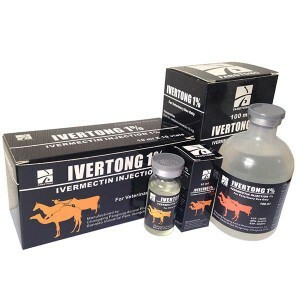 Ivermectin injection is indicated for the effective treatment and control of these parasites. Ostertagia ostertagi(adulsts and immatures)including inhibited, O. lyrata (adults and immatures). Haemonchus placei (adults and immatures). Trichostrongylus axei(adults and immatures). T. colubnformis(adults and immatures). Cooperia oncophora(adults and immatures), C.punctata (adults and immatured). C.pectinata (adults and immatures). Oesophagostcmum radiatum (adults and immatures). Nematodirus helvetianus (adults). N.spathiger (adults and immatures). Toxocara vitulorum (adults). Dictyocaulus viviparus (adults and immatures). Parafilaria bovicola (adults). Thelazia spp. (adults). Cattle grubs(parasitic stages). Hypoderma bovis, H. lineatum. Tropical cattle grub (parasitic stages). Dermatobia hominis, Screw-worn fly (parasitic stages). Chrysomya bezziana Lice: Linognathus vituli. Haematopinus eurysternus. Solenopotes capillatus. Psoroptes ovis (syn. P. communis var. bovis) Sarcoptes scabiei Var Bovis. Ivermectin injection given at the recommended dosage of 200 mcg/kg bodyweight effectively controls injection with Ostertagia spp and Cooperia spp. acquired up to at least 7 days after treatment and Dictyocaulus viviparus. acquired up to at least: 14 days after treatment. Ivermectin injection effectively controls infestation with larvae of the screw-worm fly(Chrysomya bezziana) for14 days following treatment. Haemonchus contortus(adults and immatures), Ostertagia circumcinctaO. trifurcata(adults and immatures), Trichostrongylus axei(adults), T.colubriformis(adults and immatures), T.vitrinus(adults), Nematodirus filicollis(adults and immatures), Cooperia curticei(adults and immatures), Oesophagostomum columbianum(adults and immatures), O.venulosum(adults), Chabertia ovina(adults and immatures), Trichuris ovis(adults). Dictyocaulus filaria(adults and immatures), Protostrongylus rufescens(adults). Psoroptes communis var.ovis+,Sarcoptes scabiei+A single injection will markedly reduce the number of P.communist var.ovis and frequently lead to resolution of clinical signs of scab.Two injections at a 7-day interval are required to eliminate living mites. Camelostrongylus mentulatus(adults and immatures), Haemonchus contortus(adults), H.longistipes(adults), Ostertagia spp. (adults), Trichostrongylus axei. T.colubrifotrmis, T.probolurus T.vitnnus, Impalia spp., Oesophagostomum columbianum, o.venulosum, Chabertia ovina. Sarcoptes scabiei var.camelia single injection will markedly reduce the numbers of S.scabiei var.cameli and frequently lead to resolution of clinical signs of scab. A second injection, given 15 days later, may be necessary to provide complete control. Ivermctin injection may be given with any standard automatic or single-dose syringe. 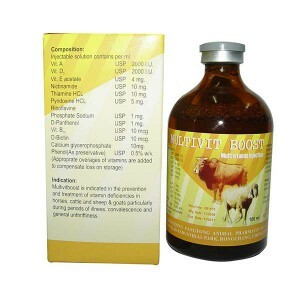 The recommended dose volume is 0.25ml per 25kg bodyweight which should be given only by subcutaneous injection. An acceptable injection site is the loose skin behind the shoulder. In wooly sheep, be certain that the needle has penetrated the wool and skin before delivering the dose. As with any injection, aseptic technique should be used. Ivermectin paralyzes and ultimately kills parasitic nematodose, arachnids and insects by a unique effect on the nervous systems of these parasites. 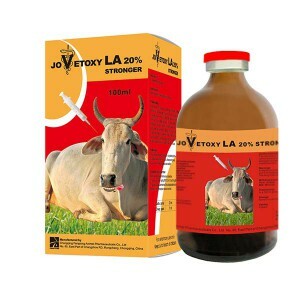 At the therapeutic dose, Ivermectin is well tolerated by livestock since it does not readily penetrate the central nervous system. Ivermectin is structurally unrelated to any of the presently available parasiticides. Because of this and its unique mode of action, not shared by any other antiparasitic agents, cross-resistance isunlikey. Bottle of 10ml; 50ml; 100ml. 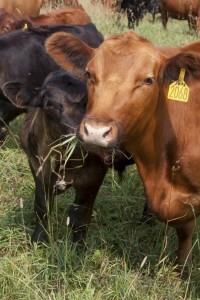 Ivermectin injection is highly effective against all stages of cattle grubs. However, proper timing of treatment is important. For most effective results, cattle should be treated as soon as possible after the end of the heel fly hypoderma larvae (cattle grubs) at the period when these grubs are in vital areas may cause undesirable host-parasite reactions. Killing hypp derma lineatum when it is in the esophageal tissues may cause bloat; killing H.bovis when it is in the vertebral canal may cause staggering or paralysis. Cattle should be treated either before or after these stages of grub development. 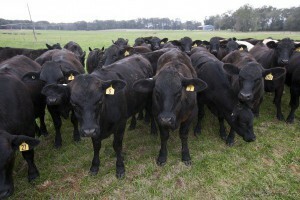 Cattle treated with ivermectin after the end of the fly season may be retreated with ivermectin during the winter for internal parasites, mange mites or lice, without danger of grub-related reactions. For further information and advice on a planned parasite control program, consult your veterinarian. Studies indicate that when Ivermectin comes in contact with the soil, it readily and tightly binds to the soil and becomes inactive over time. Drug containers and any residual contents should be disposed of safety (e.g., by burying or incinerating) as free ivermectin may adversely, affect fish and certain water-borne organisms. Transitory discomfort has beer observed in some livestock following subcutaneous administration. A low incidence of soft tissue swelling at the injection side has been observed. Activity suggesting pain, sometimes intense but usually transient, has been observed in some sheep. These reaction disappeared without treatment. Cattle and sheep must not be treated within 21 days off slaughter for human consumption; camels must not be treated within 28 days of slaughter for human consumption. 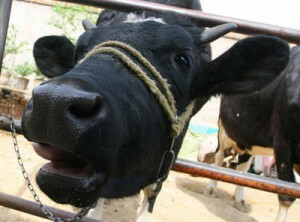 When milk to be used for human consumption, do not use in lactating cows or within 28 days of parturition. Since no milk withholding period has been established, do not treat sheep of breeding age that not been conducted to demonstrate safety in breeding camels. This product is not to be used intravenously or intramuscularly. 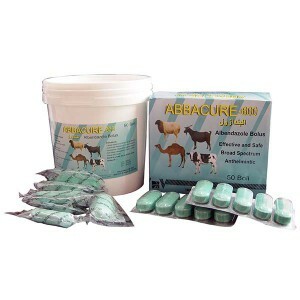 Acequate vaccinat on of sheep against clostridial infections is strongly recommended. Store bottle in carton to protect from light.